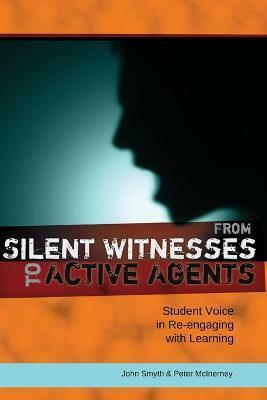 Although they are typically viewed as silent witnesses in schools during the worldwide infatuation with school reform, this book, in fact, reveals young people to be active agents with something worthwhile to say about their schooling and what might be done to make learning more exciting and relevant to their lives and aspirations. The authors foreground the stories of some 100 young informants from low socioeconomic backgrounds who had been repelled by school, but found their way back in to learning through alternative education programs that offered them a sense of direction, hope, and purpose - although they also presented them with some tensions and dilemmas. At a time when educational policies are bearing down heavily on schools through national testing regimes, accountability standards, and other repressive measures, it is refreshing to hear from young people about ways that schools can be made more humane and educationally rewarding places. John Smyth is Research Professor of Education in the School of Education & Arts at the University of Ballarat, Victoria, Australia. He is the inter-disciplinary Research Theme Leader for Addressing Disadvantage and Inequality in Education and Health. His research interests are in policy sociology, policy ethnography, social justice, and sociology of education. Peter McInerney is Research Associate in the School of Education & Arts at the University of Ballarat. His research interests are forms of school reform that promote social justice.